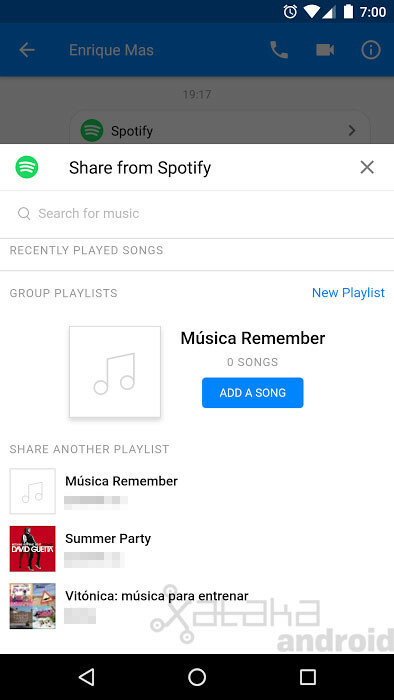 as of now Spotify lets you create playlists collaborative in Facebook Messenger, has launched an extension of the messaging application of the social network, so you can add songs with your friends to a playlist without having to exit the chat. 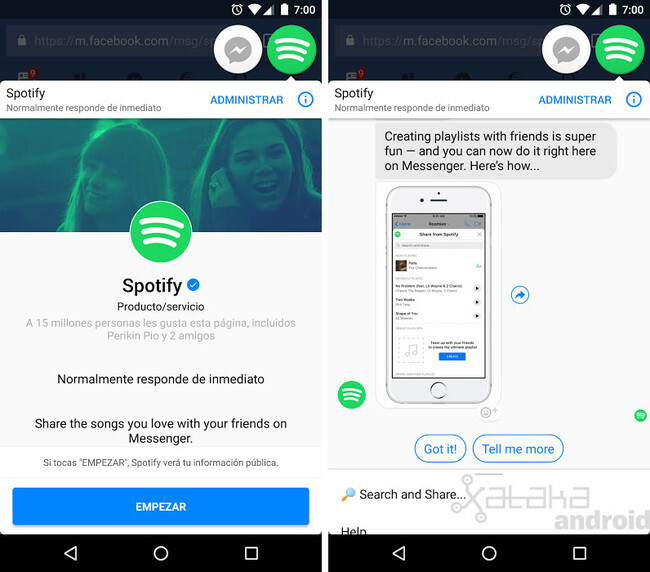 The new extension of Spotify to Facebook Messenger is already available all over the world, but will have to follow a few steps to activate it. 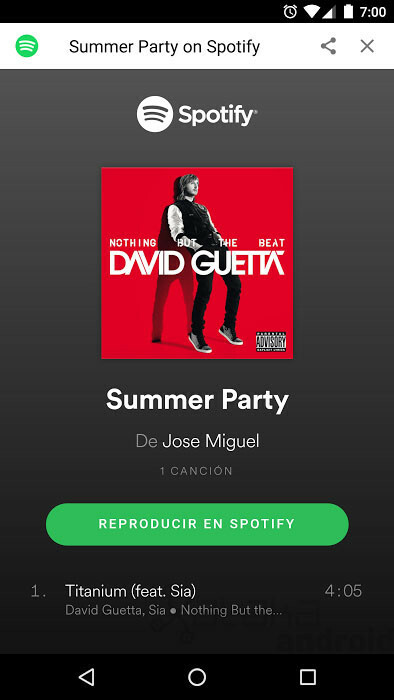 Then you have all the information to start creating playlists of Spotify together with your friends from Facebook Messenger. clicking on the link will appear on Facebook Messenger, the extension/boot Spotify. When you give to Begin will be installed, and already we can enjoy of its features. to access the extension of Spotify so we’ll just open a chat window and press the “+” icon that appears in the bottom bar of the chat. 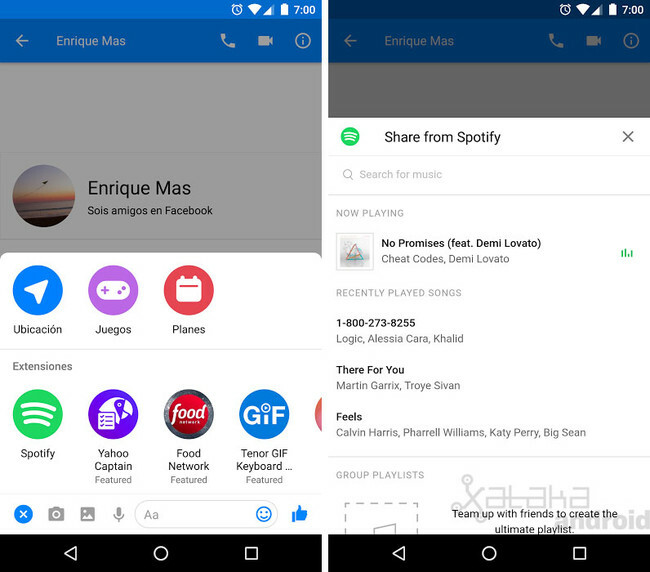 There appears Spotify along with the rest of extensions of Facebook Messenger. 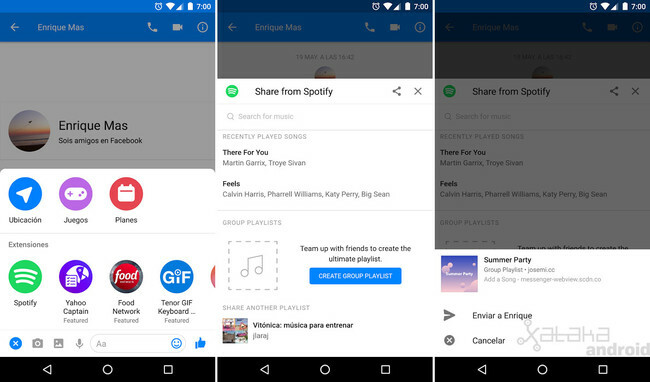 To share a playlist collaborative, so we only have to enter the extension of Spotify and select one of our playlists or create a new one from the own application of Facebook Messenger. We put a name and sent to our contact or group. 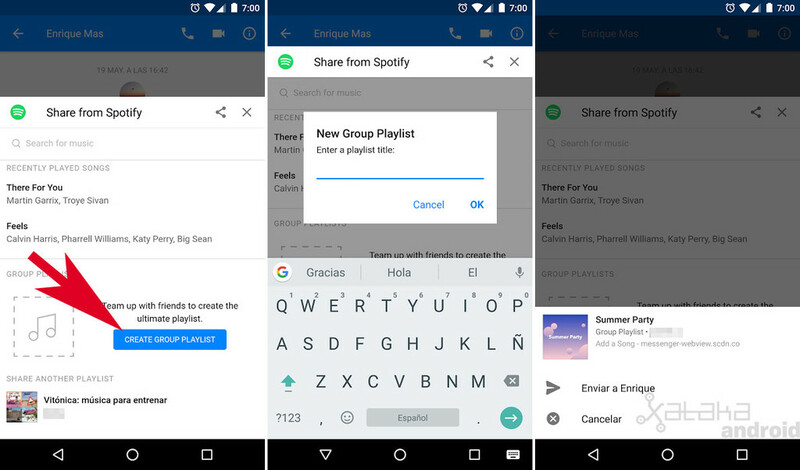 When our group chat or contact you receive the playlist you can begin to add songs from Facebook Messenger. The extension allows you to search for songs. 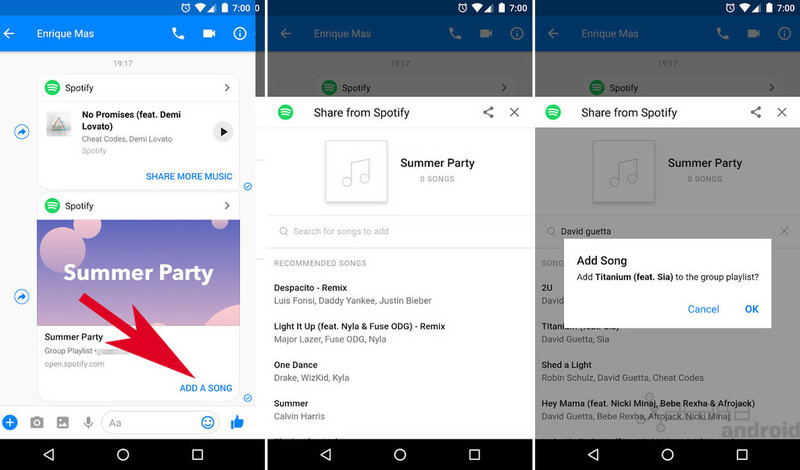 songs can be added by clicking on the option “Add a song” that appears in the message list shared or entering the extension of Spotify. In the extension we see the playlists of collaborative group/contact, and the option to add songs or create a new playlist. The extension also allows us to share with our friends songs. When you enter the extension it seems to us the song that we are listening to at that time and the three songs you played recently. When you click on the title of a song we can share. 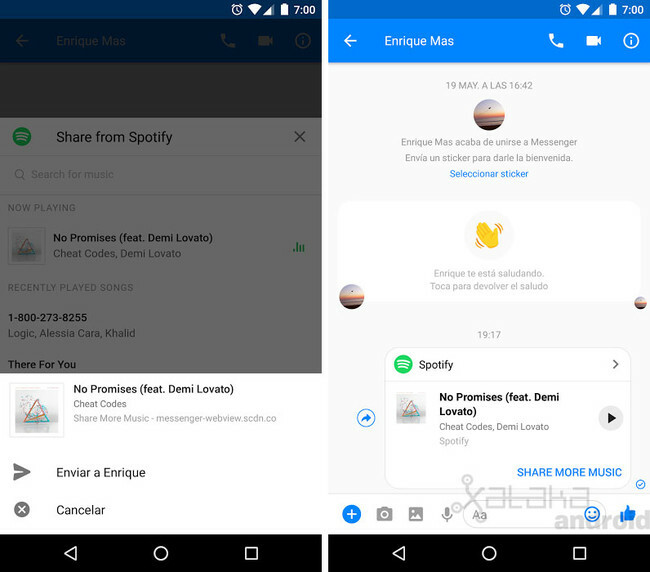 The news How to create playlists collaborative Spotify with Facebook Messenger was originally published in Xataka Android by Cosmos .